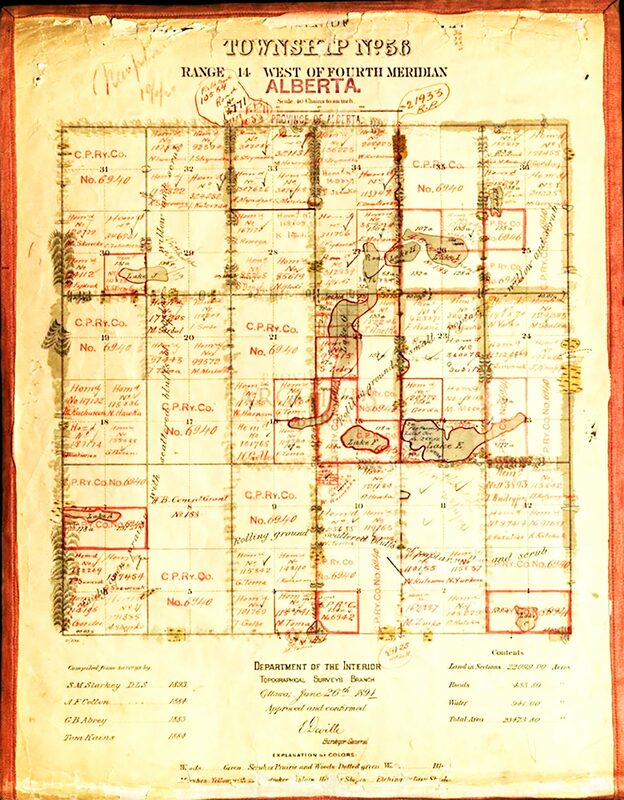 Once the homesteaders had filed for their homesteads, they were given an interim receipt, on the back of which were spelled out the conditions that had to be met in order to obtain title to the homesteads. This receipt entitled the homesteader to take, occupy and cultivate the land entered for, to hold possession of the same, to the exclusion of any other person or persons whomsoever, and to bring and maintain actions in law or equity against any wrong-doer or trespasser on the lands, as effectively as he could under the patent of such land from the Crown, but not to sell any of the timbers thereon to persons other than homesteaders. 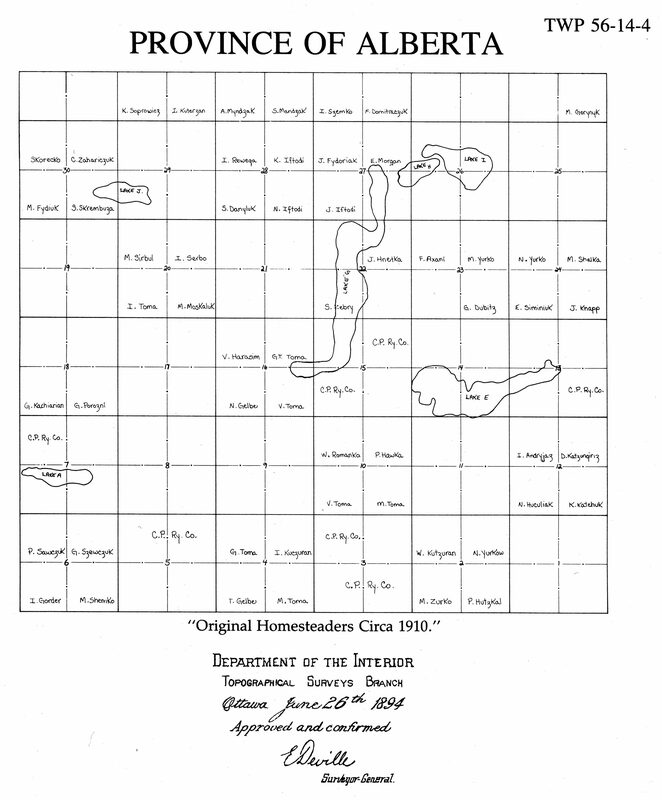 When a homesteader received his patent, also later to be given title when all conditions and regulations were met, he set out plans for his newly acquired homestead. The first five years were probably the most challenging. 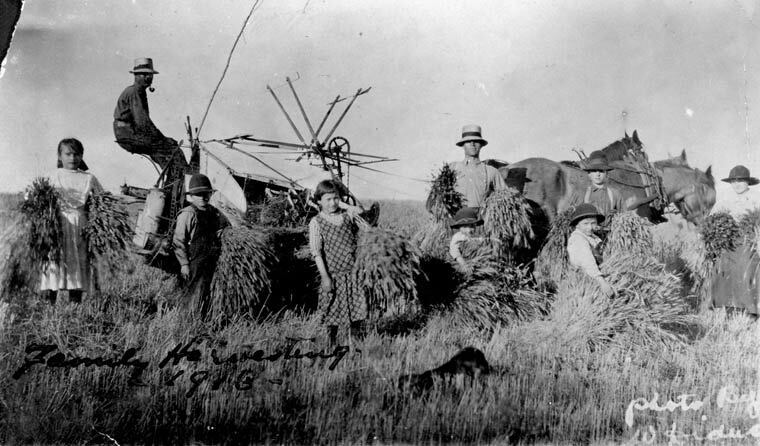 Not only did the pioneers have to build a shelter (bordei or a sod house) but they also had to provide food and clothing for their families. 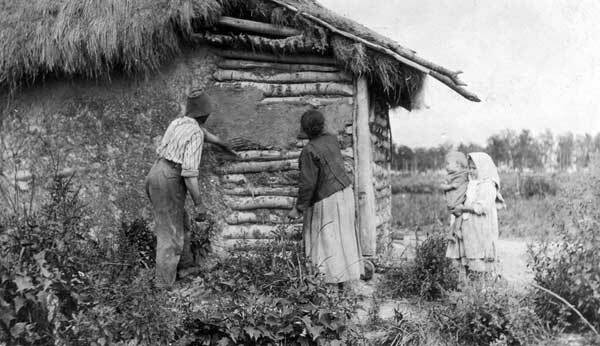 Most homesteaders were rough and tough and dextrous. Some were carpenters, others miners, millwrights or bricklayers. 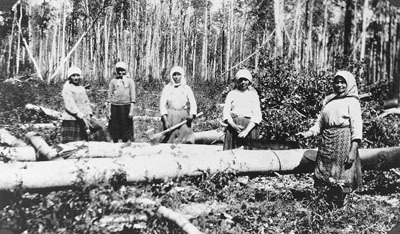 They went out working during the winter or summers months to supplement their income. Cash was needed to buy basic supplies to enhance their crude farming methods. 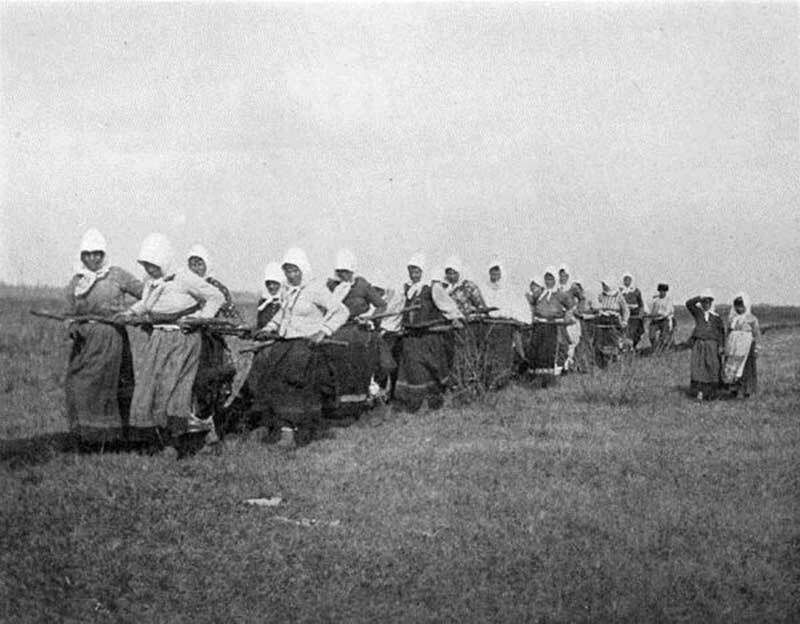 The lot of the women was a strenuous one, accompanied by many hardships. 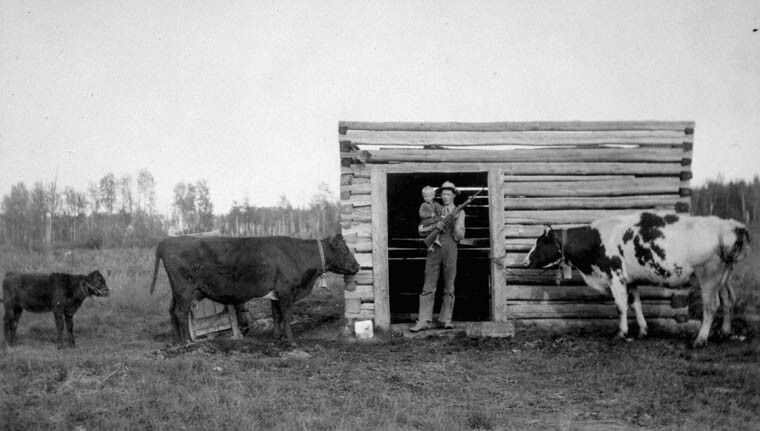 Some homesteaders turned to trapping and hunting. Pelts were plentiful and trapping paid well. The area was inundated with muskrat, beaver, mink, weasel, coyote and rabbit. 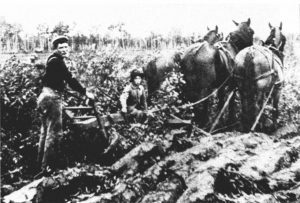 To move from the spade, hoe, axe, scythe and flail to the more advanced tools required money to purchase horses, plows, seed drills, mowers and binders. 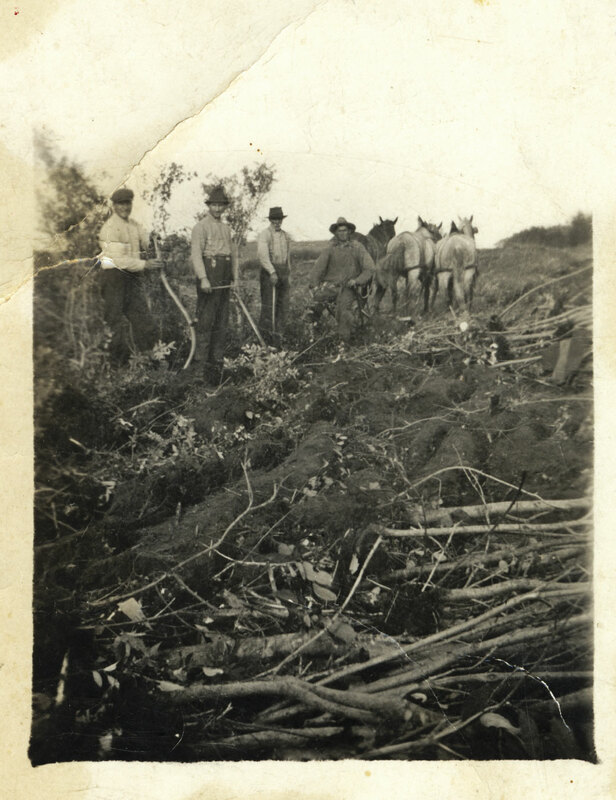 To earn this extra cash, many men worked away from the homesteads a major part of the year. 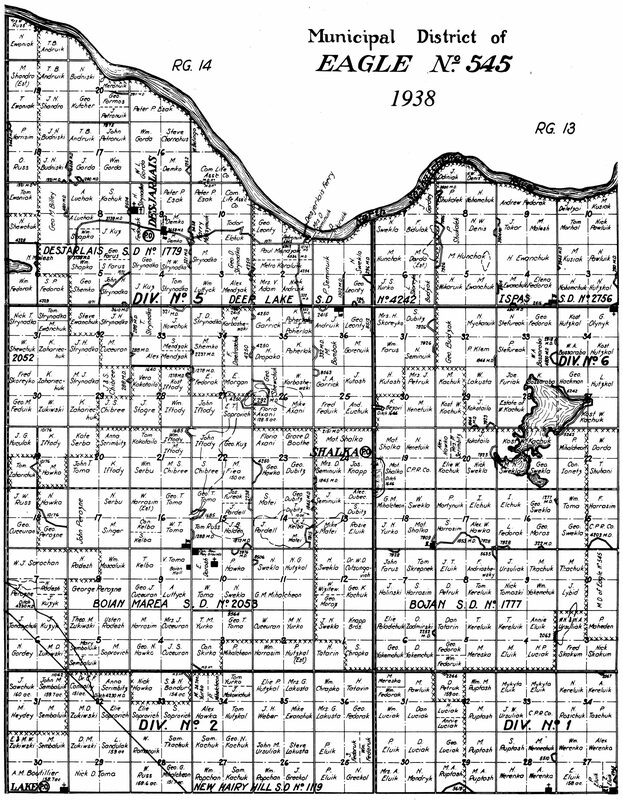 The stipulation to clear ten acres a year for three years, build some dwellings – a house, bam, shed, rootcellar – occupied everyone, year after year. We wonder if farming was and is a blessing or not. Farming can bring a man to his knees I take his time, money, health – and may leave him wondering if it is worth the sometimes scant reward. In retrospect, our forefathers were indirectly to forced off the land in Romania. 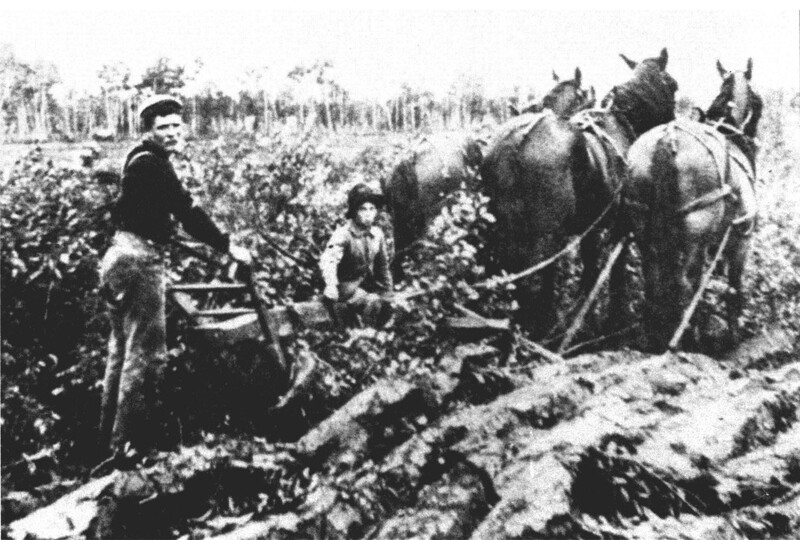 A farmer or landowner in Romania would sub-divide his small acreage among his sons until it was not practical to subdivide any further. Quite a few of the wealthy landowners would wring out all that was possible from the tenants. Many had no choice but to leave the farm. Here in Alberta, land was available. But to earn a living was a formidable task. Neverhtheless, the land provided them with some security, and something they could call their own. Many farmers stuck strongly to farming, in spite of the overhwelming odds aginst success. Those first few years had all hands contributing to the total welfare of the family. The smaller boys would snare rabbits or grouse for stew. When the creeks flowed in the spring, the fish would move upstream to spawn, so fresh fish was available all spring and summer. Occasionally, fish were either dried or smoked for use later in winter. Wild berry picking was a must. First came the strawberries, then the raspberries and saskatoons. Later high and low bush cranberries, pincherries, chokecherries, and blue berries provided perennial picnics for whole families. Quite late in the season, the hazelnut gathering was pursued with the greatest amibition. These nuts were picked, dried, and stored in bags to be eaten as a treat throughout the year.